Pool season is right around the corner, which means that backyard swim enthusiasts will be on the hunt for the best place to find pool supplies in Rhode Island in just a matter of weeks. While there are a selection of pool supply companies in the Coventry area, the Pool Doctor of Rhode Island retail store offers the greatest value to customers. What Makes The Pool Doctor of Rhode Island Different? We offer only top of the line quality products, like Hayward Pool Products and BioGuard Pool Care, at the lowest prices to our customers. We hold ourselves to the highest of standards when it comes to customer care. Our staff are trained pool experts, and we provide a number of additional services like free pool water testing, hot tub test soaks, and a dedicated kid’s corner so that you can learn more about pool care and pick out everything you need for your poolscape without interruption. 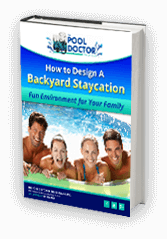 Why Get Your Rhode Island Pool Supplies from The Pool Doctor? Our company is committed to stocking our shelves with only the highest quality products so that you can get the best results throughout your pool season. If you have a question about a product or aren’t sure which is the right fit for your poolscape, one of our accomplished pool service experts will always be available to weigh in and share their knowledgeable advice and experience. You’ll be hard-pressed to find pool supplies and service in another Rhode Island store that has the same diverse selection of pools, hot tubs, water care products, and backyard accessories all under one roof. Our retail store is your one-stop shop for everything you need for your pool, from inground vinyl liner pools and portable hot tubs to fun pool and backyard accessories including grills, marinades, floaties and so much more. It’s one thing to talk about our impressive 7,000 square foot showroom, but it’s another experience to visit it in person. Come on down and see what we have in store for your poolscape this pool season by visiting your local Pool Doctor retail store here on Nooseneck Hill Road in Coventry, Rhode Island! The Pool Doctor of Rhode Island is the leading full-service pool and spa company in Rhode Island. Their business had its beginnings in 1987 when co-owner Ron Leclerc began selling pool supplies out of the back of his Camaro. In 2001, Ron and his wife Debbie opened their 7,000 square foot facility in Coventry. This extensive and beautiful showroom is the result of years of hard work and represents a long-standing tradition of excellence and commitment to giving Rhode Islanders the best pool and spa service, advice, and products. From installing vinyl liner inground swimming pools to selling gorgeous Dimension One hot tubs to offering free water-testing and professional service in their store, The Pool Doctor of Rhode Island is your place for everything pool and spa. They are a proud BioGuard Platinum Dealer and also offer a huge selection of other brands of swimming pool and hot tub supplies, including Loop-Loc Pool Safety Covers, above ground pools, and Hayward equipment. But, more than anything, The Pool Doctor of Rhode Island strives to give their customers a wonderful experience from beginning to end. Visit The Pool Doctor of Rhode Island at 2200 Nooseneck Hill Road in Coventry or at splashtime.com or give them a call at (401) 392-1300. They serve all of Rhode Island, including Coventry, West Greenwich, East Greenwich, North Kingstown, South Kingstown, Exeter, Richmond, and Hopkinton.